What Do Face Serums Actually Do? Detailed review of Estèe Lauder Advanced Night Repair Serum. See what real experts and actual users have to say about this face serum. Estèe Lauder Advanced Night Repair serum is an anti-aging product—and it does just that. From evening out skin tone and complexion, to decreasing the visibility of age spots and sun damage, Estèe Lauder face serum really does deliver on its ability to rewind the clock on your face and neck. While the results are undeniable, and application of the product is extremely easy, it does take longer to see results than I’ve experienced with other anti-aging face serums. This may be because you only apply the serum once daily, instead of using it both morning and night like many other face serums. 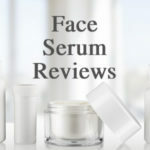 My initial experience with the face serum was also more extreme than with other anti-aging products, so customers should be careful when using the product and do a patch test first. Overall, while the product has some pretty good anti-aging properties, it doesn’t perform as quickly as other face serums and has a fairly high price tag. Estèe Lauder Advanced Night Repair serum is water-based, and has a thicker texture than many other face serums on the market. The thickness of the product seemed to be a bad fit with the packaging, as it came in a dropper, which was hard to get the product out of. The face serum is not oily at all, and felt extremely comfortable to wear on the skin. It didn’t feel sticky, either. It just absorbed and laid on top of the skin nicely. To apply Estèe Lauder Advanced Night Repair face serum, begin by cleansing and toning your skin. After that, on clean hands, place a drop of the serum on each fingertip of one hand. Rub your hands together, and apply the face serum on both your neck and face in a circular motion. Since the texture of the serum was really easy to apply and wear, application of the product was super simple and straightforward. Since this face serum is specifically formulated to be used at night alone, I only applied it before bed. Once the face serum had dried, I applied my nighttime face moisturizer and eye cream on top. 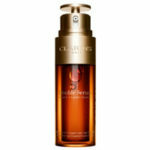 The drying time for Estèe Lauder Advanced Night Repair face serum is relatively quick. I would say about 15-30 seconds after application. Unlike many other face serums that leave some sort of texture on the skin after its dried, the Estèe Lauder face serum left no residue at all. It really felt like the product had completely absorbed into my skin in that short period of time. 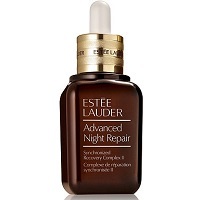 Estèe Lauder Advanced Night Repair Serum is virtually odorless. If you’re being super picky and really sniffing the serum, there is a very faint plant type smell to it. It may sound crazy, but it almost smells like vitamins. However, you really have to try to get any smell from this product. Like I said, it’s basically free of any scents or odors. Since this is a serum formulated for nighttime use only, I first applied Estèe Lauder Advanced Night Repair serum at night. My initial results with this product were actually pretty negative. I felt like my face was more red and blotchy when I woke up the next morning, and my skin felt pretty dry overall. I was actually a little fearful of continuing to use the product because I didn’t want it to dry out my face or cause any long-lasting discoloration to my complexion. I don’t have sensitive skin at all, so for that reason, I would really recommend doing a patch test with this face serum before using it all over your face and neck. Beyond that, however, I didn’t experience any breakout or true discomfort initially with using this face serum. Thankfully, the dry feeling skin and splotchy red complexion were just from initial use with the product, and stopped happening after the first few days of using the face serum. The long-term results of using Estèe Lauder Advanced Night Repair serum are pretty straightforward. This serum does exactly what it says it’s going to do. I noticed a difference in my wrinkles, specifically around my mouth where I’ve started to see some faint lines pop up (sadly). My overall complexion was impacted positively, as well. I felt like I had very hydrated looking skin, and my skin just looked very clear and even overall. I didn’t see a huge difference when it came to sun damage and age spots, but since my whole complexion was evening out, I do know at least a little difference was made in that department, too. Overall, while I felt like the anti-aging benefits of this serum were obvious and Estèe Lauder delivered in that department, I feel like it took longer to see true results with this serum than with other face serums I’ve tried out. I also think that while it does do well in all categories, there are other face serums that perform better in all of those categories, as well. 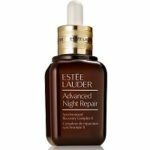 At $65.00 for an ounce, Estèe Lauder Advanced Night Repair serum is toward the higher range of cost for face serums on the market. I absolutely think that this serum delivers on its anti-aging claims. 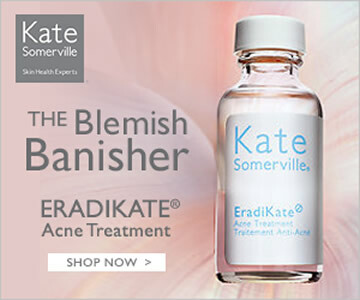 However, since it takes longer to see those results, and there are other serums that do the job just as well, if not better, I’m not sure it’s worth the price tag. Estèe Lauder has a complete money-back guarantee. Customers can return any remaining product to the store or website (depending on where they purchased the product) to receive a full refund. To purchase Estèe Lauder Advanced Night Repair serum, click here. Application After cleansing and toning face at night, apply a small amount to your face and neck in a circular motion. The 10 Best Face Serums For 2019! 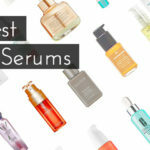 10 Best Face Serums For 2019! What Do Face Serums Do?